FIELD CAMERA. 1896. 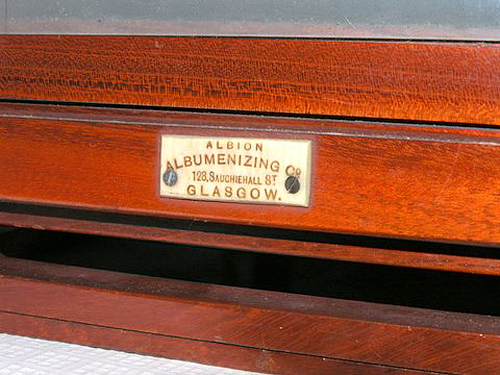 Established in 1864, made cameras from 1885 on, moved in 1896 to the address on this camera, 128 Sauchiehall Street, Glasgow, so it is dated to 1896, but looks earlier. Two models, the 'Tourist' and the 'Serviceable', were produced. 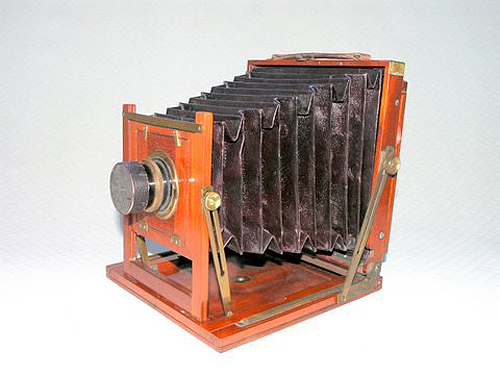 The slender and light weight build suggests that this is the 'Tourist'; it is the slimmest W&B Half-plate camera I have seen, with a folded thickness of only one and three-quarter inches (4.5cm.). 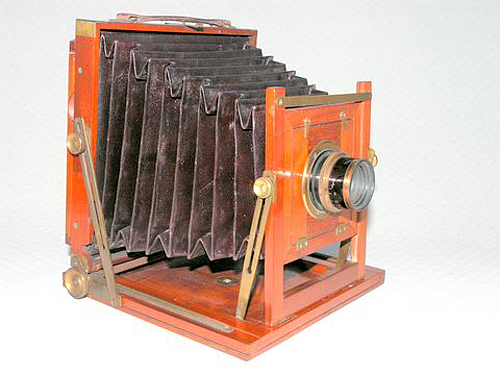 Lens panel held upright by pegs in slots. Double extension by gearless pull-out front. Tailboard style rear body focusing, moved by rack and pinion.